What's better than having your parent's read your favorite bedtime story? Getting to re-live the moment over and over whenever you want. The Cuddle Tunes Bear inventor Michael Robinson is coming to the Shark Tank Show with a product any kid would love to have. Not because he's a cuddly bear, there's Lot's of those, but because of his ability to read stories in a very familiar voice, yours. 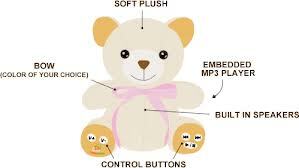 The Cuddle Tune's Bear comes with a built-in MP3 Player and prerecorded songs using your child's name. They will instantly become best of friends and help them get to sleep as they snuggle up with the Cuddle Tunes Bear. Furthermore, you can go to their website and record any book or positive message you'd like to read to your child and download it into the teddy bear. Your kids can listen to the story whenever they choose and even keep it as a "keepsake" for when they get older. Can you imagine listening to a bedtime story read by your Grandparent's to one of your parents? It may have not been possible back then, but it is today. The stories you record online using the Cuddle Tune's Bear technology could someday also be listened to by your Grand Kid's in the future. How cool is that? I would love just to hear my Grandma's voice again let alone hear her read a story to my Mom when she was a child. The actual recording's for the MP3 Player is done online at the Cuddle Tune's website. You can store it and play your message online free whenever you wish or buy your soundtrack and install it right into the teddy bear. Because this whole process is done online, it offers some unique and creative way's for other's to communicate with your child as well. Their Grandparents can read them a story from anywhere in the world. Or maybe an older sibling that went off to college and just wants to record a message and just say Hi. 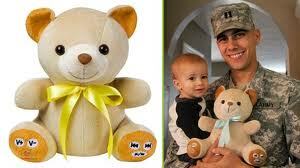 Probably the best idea for the Cuddle Tune's Bear that would make the most impact on a child life is with our Military Families where one of the parents is stationed overseas. Michael Robinson also agrees, and in 2011, the Cuddle Tune partnered with Operation Home Front helping connect families in only a way the Cuddle Tunes Bear could. If you read this Michael, that was a good idea! This will be fascinating if Cuddle Tune's gets a deal on the Shark Tank. This product seems to have everything in place to get into all the Toys-R-Us type stores around the country, in particular with a Little of the Sharks help. The one flaw that I see is the lack of choices the Cuddle Bear comes in. Sure, they come with different ribbons, but the Bears are still identical. Coming from a family with a few sibling's this would have been a problem almost immediately. 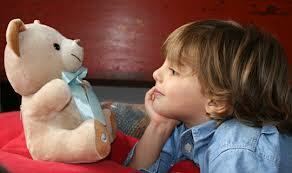 Do you get one Cuddle Bear for each child and hope they don't lose the ribbon's and mix them up? Or maybe one Bear to share for all the kid's and hope it survives the tug of war that would most likely follow? A few different sizes and styles could potentially go a long way in creating a lot more sales in my opinion. 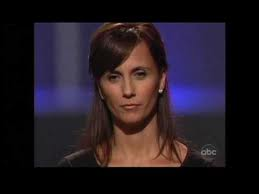 Mike Robinson came into the Shark Tank asking $400k for a 20% stake in the teddy bear business valuing it at $2 million. Robinson says he's put about a million into developing the product over the last 3 years and half of this amount is for his time. The sharks ask the all important sales question, and he tries to change the subject, and the Sharks get turned off very quick. He attempts to explain that out of 33,000 visitors to his website, they sold over 9% of them a Cuddle Bear. That's an exceptional CPA in anyone's book. The numbers sound very impressive until the Sharks discover how the traffic landed on the site. Robinson's been running Groupon and Living Social Coupon Ads offering the Cuddle Bears at a 50% discount which ultimately throws all the real numbers way out of whack. The Sharks start dropping out in rather quick fashion with only Kevin O'Leary left. He said, "You don't know your point of acquisition, you just don't" and also proceeds to go out. It was a clever way to inflate the CPA number's and justify a higher valuation for the business, but the Sharks didn't bite. Taking advantage of going on the Shark Tank and completely trying to inflate your business numbers in hopes of getting a better deal with the Sharks is not good advice. That's all I have to say on this one. I want to buy one for my kids since my hubby works on an oil rig for very long periods at a time!! I think this was a great product, I want to buy one for my young niece overseas. I am in the toy/gift/premium industry. Hallmark has done something very close to this also. I have since 1999 sold my huggable picture frame "dolls" to comfort those who cannot be physcially with the ones they love while raising money for Breast Cancer, Autism, and so many other charities. With an amazing non profit started in 2003 by a military mother/wife who was given one of our HMY'S and her young daughter LOVED it set up OPERATION GIVE A HUG-www.operationgiveahug.org and has donated OVER HALF A MILLION HUGGS to children of deployed parents. She works as a volunteer over 40+ hours a week since 2003 to help. 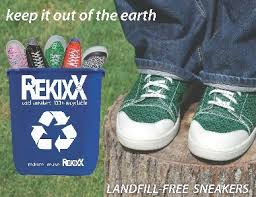 Our product is not only great from newborn to college to Senior Citizens and can "grow" with them, but are sold 35% BELOW retail pricing and GREEN and raising monies for great causes. Our recordables have features no others do-patented-we have fought and won against all copycats-but are so proud to raise money while helping so many. Remember-You cannot always be there for the ones you love-but HUGGEE MISS YOU CAN!! www.huggeemissyou.com-real ORIGINAL huggable since 1999. My sons father is stationed overseas. I think this is such a great idea. I think this is a GREAT idea and am going to buy one for my daughter. My husband works all over th US and this will be wonderful for my daughter!! This product was not a "Shark Tank Success". Within 10 minutes all of the Sharks declined to invest. 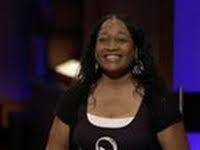 Ya my friend Dave Alwan was on Shark Tank and they all said no. The night he aired he had so many orders the server crashed. Over the last 2 years since he has sold MILLIONS of dollars worth of product. Not bad for a Failed presentation.